Each Volunteer will receive a volunteer t-shirt and one free beverage (soda for the kids, beer/wine for those over 21). 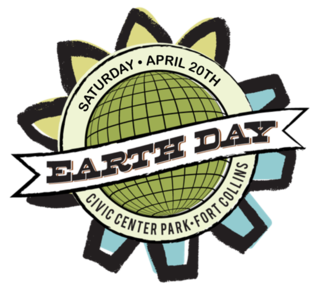 Earth Day is a combination of activities & events for the entire family, featuring informational booths and displays, arts & crafts, live music, speakers, local food and a beer garden. Learn more! Earth Day encourages and inspires community members to honor the Earth EVERY DAY and make efforts toward conservation and preservation of our wondrous planet for current and future generations. Admission is free and attendees are asked to bring nonperishable food items for the Food Bank. This position is super important. You'll be helping our vendors find their spot, unload their cars, and get set up before the event begins. Help with monitoring the entrance/exit to ensure alcohol does not leave. Accepting donations and organizing stuff. This may be one of the most fun positions. You get to see everyone come and go. Welcome them to the event as the arrive and wish them farewell as they leave. Making sure no alcohol leaves the event. My son and I ( hes almost 9) woyld like to help! We may only be able to do 1 1/2 hrs due to spread out sports. Is that okay? After a day of play we must put our toys away. This is always super fun. we hang out and take down a few tents and pick up some fencing. It's not easy but we have a blast!